I like the Titleist brand and everything what comes with it. Although I fully endorse their product range, I’m not buying anything new to the market just because it’s out there. I guess it’s common sense that golf products don’t differ that much anymore from others and the rest is just marketing. My Titleist clubs are 3 years old (710 irons, 910 metals) and I’m overly happy with it—therefore no need to buy some new sticks at all for quite a while. But the guys on tour sometimes literally jump on new products, be it because they are after some further yards to hit or because their sponsor contract makes them change every time the brand has something new out. This actually doesn’t happen too often with Titleist but competitors like TaylorMade release new stuff every month you could argue. You are just used to a new name or number of a product and bought into their story they sold you, and then suddenly ‘boom’, a new technique, a new story, a new product with a new price tag. Let me say to you, don’t buy anything that golf brands try to market. Work on your swing, this is mostly the more important and long-term alternative to buying new clubs. This video is about the collaboration of club manufacturers and pro players, as this is a very interesting field of work anyway! I don’t want to show off but after puchasing a new set of clubs I’m still so proud and so happy about my new equipment that I decided to show you guys a bit more of it. Could have done a “What’s in my bag” video but I thought I leave that to professional players and 14-year olds scratch golfers who present their parents bags. Anyway, I ordered my clubs online, fitted to my needs with custom shafts and shaft lengths. The irons are standard length but the driver is -1 inch and the 3-wood is -0.5 inch. So far I think that was a very good idea. Furthermore I’m very happy with the shafts themselves, the Diamana ahina is just perfect for me. It’s a mid to low ball flight with less spin, but if you’re looking for some adjustments you can do so with the Titleist SureFit hosel and put some extra trajectory in the game. I don’t need that and am very happy with my 9.5° 910D2. To give you a better feeling for the beauty of these clubs, I took some pictures. If you’re following me on Twitter or Facebook, you’ve probably already seen these pics. Starting with an overview, this is what it’s look like. A real beauty! The woods are the current 910 series, that’s supposed to be detached by the 913s next year. You’ve probably already seen some pictures on the internet and some pros are testing them as well but I thought the difference can’t be that big and for a weekend player like I am, nothing I could feel. It’s a 910D2 driver 9.5°, a 910F fairway wood 15° and a 910H hybrid 21° instead of a 3-iron. All have ahina stiff shafts and they look just amazing!! The irons are the new 712 AP2 series, 4-PW with ProjectX 5.5 steel shafts. On the one hand these shafts look cool and stiffness-wise it’s exactly that what I was looking for. The club heads are forged and have a good feeling. I haven’t played the MBs or CBs to have a comparison, but I think the AP (advanced performance) technology is helping a lot with off-center hits, although the MOI is quite low and you have perfect distance control. Can’t really say something about shaping capabilities since I mostly try to shoot straight shots. Ahhh, the Bob Vokeys, I bought the 52° and the 56°, both with 8° bounce, but I should have bought the 60° as well. No idea why I saved my money on that one. Normally I used my old BV 60° quite often. My wedges have ProjectX 5.5 shafts as well, just to match the feeling of the irons. And it works! They give you great feeling. 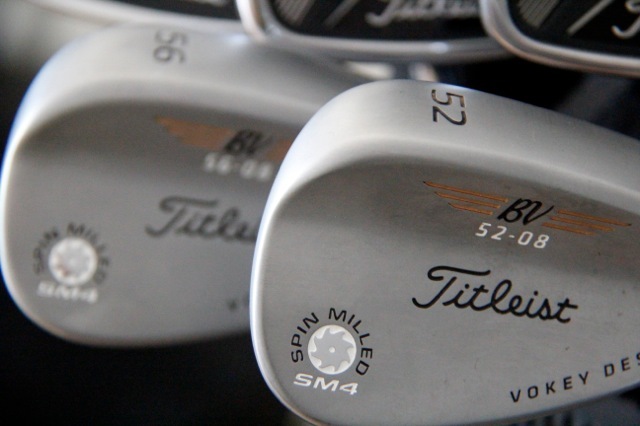 That said, I again have to admit that I don’t really know many other wedges I could compare them to. But anyways, they are very good! 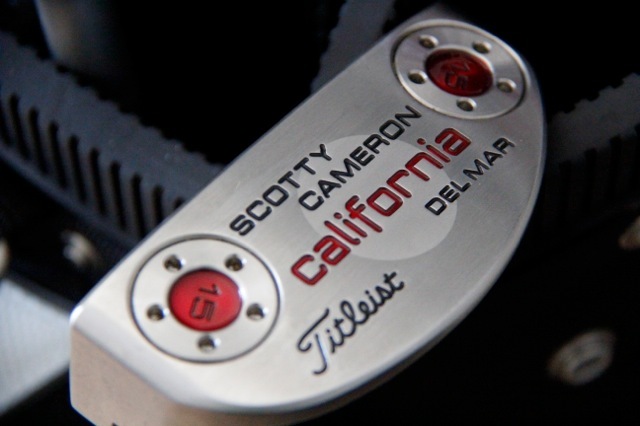 Last but not least: I moved away from my beloved Odyssey Dual Force Rossie II mallet putter and went for the Titleist Scotty Cameron California series, the Del Mar to be precise. It’s kind of a mallet putter but isn’t face balanced. So the feeling is a bit different but again, it plays very nicely – even without any inlay, just with so-called deep-grind. Future will tell whether putts will fall or not. That was it. It don’t make the effort to show you the rest, the new bag, umbrella, towels, accessories. Maybe next time. And one last sentence: these clubs are sooo good, do yourself a favor and get yourself the same set. Get fitted or read specs on the internet and then take the (financial) effort and go for it. You won’t regret it. New equipment! Dream clubs all over the place! “Serious clubs for serious golfers”. That’s what Titleist says in their adverts. What they mean is that Titleist clubs are for the better golfers. Is that true? Well think about the MB series, pure muscle back, no offset, blades at their best. Definitely only for single handicappers. Quite the same for the CB series, cavity back, but really only a small help in terms of MOI and sweet spot extension. As well something for the better player therefore. What about the AP1 and AP2 then? AP stands for “Advanced Performance” and is meant to be a set of clubs for people that need some help – game improvement clubs so to say. The AP1 is a really chunky beast, big top line, fairly big offset and high MOI. All supportive, no question about it, but not appealing to one’s eye at all. I went for the AP2 712, same as Adam Scott, Rory McIlroy, Matteo Manassero and many others on tour are playing. It’s a beautiful club with a slightly bigger sweet spot compared to the MBs or the CBs. So perfect for guys like me – 15 handicappers on their way down to let’s say 5. All of the irons have ProjectX 5.5 shafts. In addition I bought new SM4 Bob Vokey wedges from Titleist, a new Titleist Scotty Cameron putter and a complete set of Titleist metal woods; a 910 D2 driver, a 910F 3-wood and a 910H hybrid instead of a 3-iron. For some more specs please have a look at the ITB section of golficiency. when you’ve read the in-the-bag section of this website recently, then you might know that i wasn’t that much confident with my irons lately. i owned a set of taylor mades, steel 200 2-SW and played them nearly a complete decade! so it was time to get smth new i thought, and since i’ve started liking the titleist brand very much i had for sure interest in buying a set of one of these famous clubs that are intended for the better players of us. but to be honest to myself (and to all of you) i’m not the best player out there. i have a decent swing but far from being a very good golfer (current handicap is 19) and so i had to re-think the purchase of titleist’s MBs or CBs. no doubt, two of the best and and the same time best looking clubs available… but am i good enough to suit these clubs? i doubt it! to really enjoy these clubs you have to be a single digit golfer, which i’m unfortunately not (yet). the sweetspot is really tiny and there is absolutely no forgiveness installed in these particular clubs. so you have to know what you’re doing with them! what to do then? i looked at my nike sumo staff bag… nike sumo driver, nike sumo 3-wood, nike sumo hybrids 2, nike sumo hybrid 3, nike sumo towel and nike sumo umbrella. and then it hit me… what would fit better into my bag than nike sumo irons?! well, it’s an end-of-range product and already detached by the machspeed irons but they’re from 2008 and therefore a real bargain as well. so that’s what i did, i purchased a brand new set of nike sumo irons yesterday evening and i am waiting for the delivery this week. 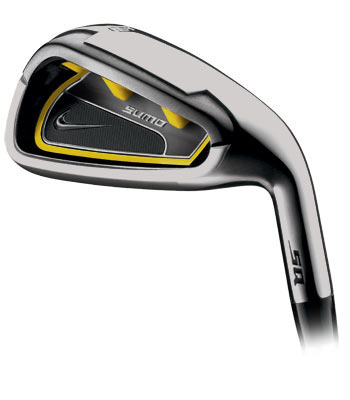 i know what you are thinking: comparing the titleist irons with these from nike is just like the opposite. and you’re right. they are ugly as hell, have a sole that is nearly as wide as the whole fairway and they are produced primarily for high-handicappers, but so what?! i want to improve my game and when i can get assistance by my clubs… i accept it! ball flight trajectory is high, so it’s easy to get the ball airborne, the forgiveness is huge with a large sweetspot, a massive perimeter heel/toe-weighting and a moment of inertia like a circus trampoline. the people that play these irons speak of ball flights that are straight as ribbon rails! the feeling would be less, point taken, but as long as i produce less strokes on a round as well, it’s working for me! i’ve never played them and so i guess it’s a kind of an experiment. i will keep you informed about my progress. why ebay is not the right place for me! it happened not only once, not twice… i can’t count it anymore: i find something perfect on ebay, a real bargain or just some stuff i looked for and couldn’t find somewhere else. i log in, i keep an eye on that specific product, i place my bid, i wait day-in day-out for the very last minutes and start climbing my bid just to 30 seconds before the end, then i insert a bid that is much higher… and always lose just by cents!! that is so mean! today i wanted to win the auction for a brand new set of beautiful titleist 710 CB irons. i was ready for the rally, entered my bid into my iPhone much higher, just to wait for the others to come after me. when somebody outbid my price, leaving one single minute on the clock, i throwed 50 more EUR into the bargain and waited the last seconds for the success… just to get the information that somebody bid 1,55 EUR more than me in the end!! i lost the auction for my dream irons just by 1,55 EUR… i hate it! and i guess i won’t ebay for quite a while now. i’m totally exhausted with losing all the time! i’ll better play golf with my 10-year old clubs and get a better feeling than losing some stuff in the internet. i’m done! that’s so mean!! germany is under snow and titleist is presenting the new starting line-up for 2011. the 910 driver (read this) gets some fine partners. pretty awsome i’d say!! i take one of each! where can i sign?! since i do not own any titleist woods and haven’t played the 910 yet, i’d like to provide you with an interesting review by golfalot.com. in this short video you learn everything important about the new “sure fit tour hosel” which makes this club quite unique. “a tour van in a hosel”… nice! i can’t wait to get my hands on one of these! iron play is important; that’s what i believe. no questions, drives and putts are important too, but since we are no pros, we always find ourselves in positions and situations where there is no drive-wedge-putt-scenariao. we have to use our irons quite regularly. due to that especially amateurs have to consider to buy the best and most suitable clubs for themselves. the problem i have is, that all the clubs should be perfect and damn good looking! 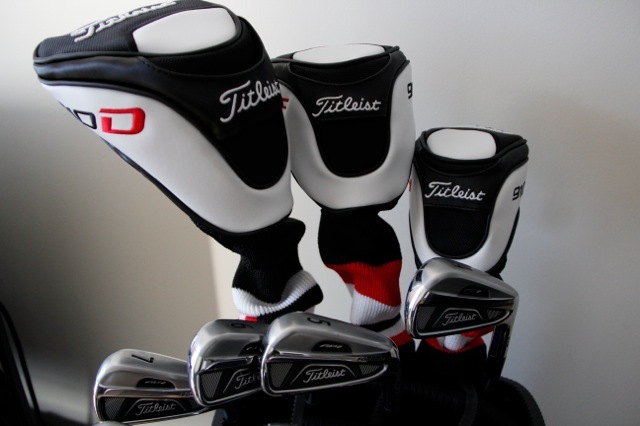 so this is what i’m thinking about: either purchasing a titleist set or – to match my woods – a nike set. 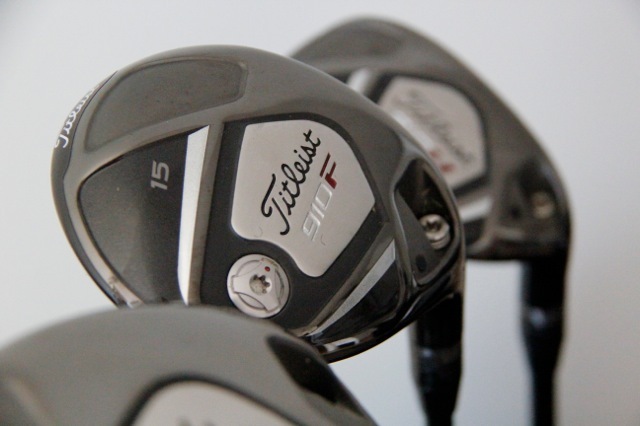 titleist: i love this brand! they are producing perfect clubs (“serious clubs for serious golfers”) and primarily the 710 MB (muscle back) or the respective CB (cavity back) is both good and nice! considering me as a 19-handicapper, i’m looking for a combination of professional clubs to work the ball the way i like it to and on the other hand to give that support i need since i’m not (yet) a scratch golfer. 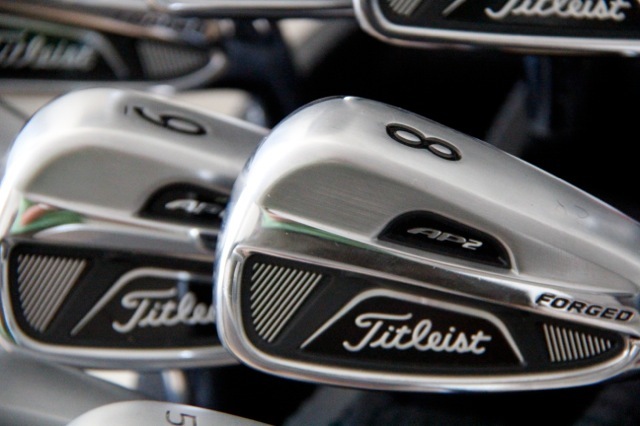 therefore even the titleist’s AP1 or AP2 are coming to my mind. nike: all my woods are nike sasquatch and i like’em a lot. from that point of view it might be a good idea to buy a nike iron set. currently i think about purchasing the nike pro v combo set (blade 8-P, split cavity 5-7, full cavity 2-4). they help the mid-hadicapper in long iron shots and provide flexibility and workability in short iron shots. has anybody encountered some experiences with these clubs? please leave a comment and let’s discuss!